King Oscar II had already shown his royal interest in ski sports. When Norway got its own king, Haakon VII, he quickly brought his family to the stands at Holmenkollen. From 1906 and onwards, our monarchs have faithfully followed the competitions every year that it was possible to organise them. This way, our traditional ski festival received recognition of a unique and international nature. 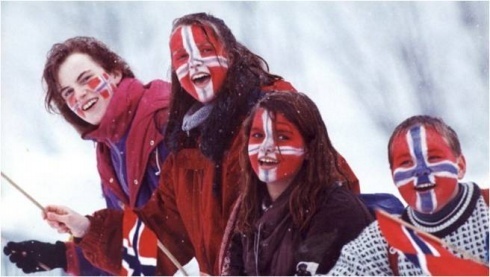 While Norway fought against international championships, the championship which the International Ski Federation (FIS) initiated in 1930 was almost forced upon us – six years after the first Olympic Games. 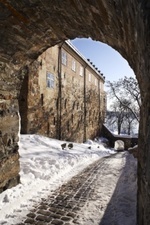 Consequently, five championships in Oslo will remain central events which support the slogan “the world’s winter capital”. We should also recall that Bislett hosted a large number of world championships, European championships and other famous skating competitions up until Valle Hovin arena got artificial ice and Vikingskipet eventually took over as the national skating arena. Only Lahti in Finland has hosted six championships, but after 2011 and counting the World Ski Championships in Trondheim in 1997, Norway will also have acted as host six times. The media and especially the introduction of TV have ensured that most of what has happened on the ski front since 1966 has been carefully recorded. But little attention was paid to what was happening in Nordmarka in 1930 – which is an even bigger reason to recall the “forgotten” championship where Norway took nine medals out of 12 possible. An overeager amateur photographer was the reason why the host nation did not win all four gold medals. Arne Rustadstuen lost valuable time when he collided with the photographer just before the finishing line, and the Swedish skier Sven Utterstrøm ended up winning the 50k. Arne Rustadstuen (17k), Hans Vinjarengen (Nordic combined) and Gunnar Andersen (ski jumping) secured the Norwegian victories in 1930.